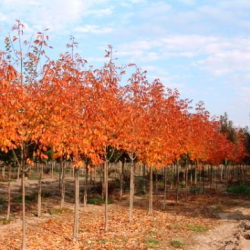 Transplanting Fabric Container Grown Trees | High Caliper Growing Inc.
With scientifically proven advantages, fabric container grown trees can enhance your existing tree farm for year-round sales. 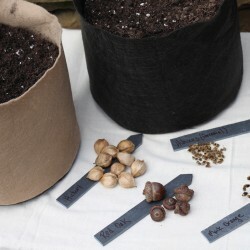 They’re also ideal for new growers starting out. Step 1. Soils come in many forms, so it’s important to know the kind of soil you’re planting in. The harder the soil, the bigger hole needs to be when transplanting container grown trees from fabric pots. A bigger hole helps to help loosen the surrounding soil so the roots will have an easier time getting established. Step 2. 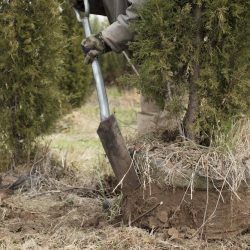 Dig a hole that is at least 4” to 6” bigger than the diameter of the container grown tree and deep enough to position the tree even with soil level. Planting too deep is a common problem. So after you dig the hole, be sure to tamp the soil down to keep the tree from sinking as it grows. Step 3. Lay the tree down and cut slits down the sides of the fabric container, then cut an X at the bottom. Step 4. Place the tree in the hole and remove the fabric using a razor knife and snips. Step 5. You may need to add or remove some soil to the achieve the proper depth. Fill in around the root ball and tamp it down firmly. Step 6. 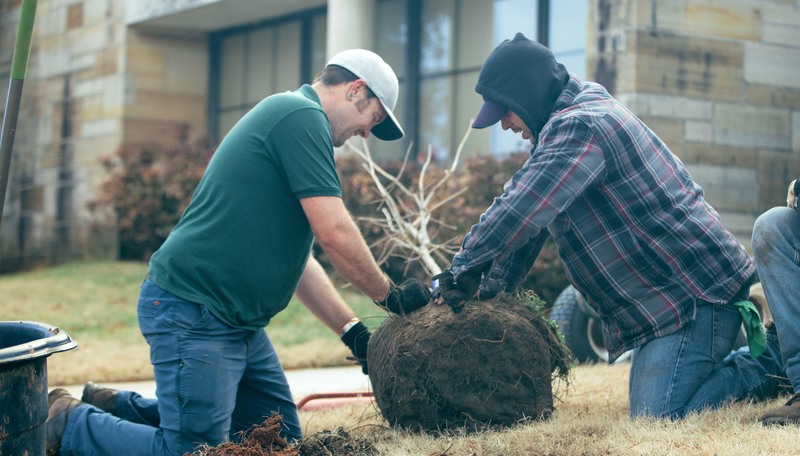 Build a moat around the newly planted tree with the remaining dirt and add mulch on top. Step 7. Staking will be required for some trees. For example, if you’re transplanting in late spring with a 2.5-inch-caliper tree, you will likely need to stake the tree. With trees dig in summer, the caliper will be smaller, and it might not need stakes. Step 8. Water thoroughly by using a slow tickle for a few hours. Make sure the tree gets a good drink right after planting. For the first 3 months, periodically dig down a couple of inches into the soil to monitor and optimize moisture levels. Step 9. Providing proper nutrients for your fabric container grown trees is essential for their health. See your local garden center if your tree seems to be in stress. Fabric containers were invented by High Caliper Growing in 1980. With years of research and hands-on experience, we understand the science of fabric container growing. If you have questions or need advice, give our experts a call at 1-800-521-8089.